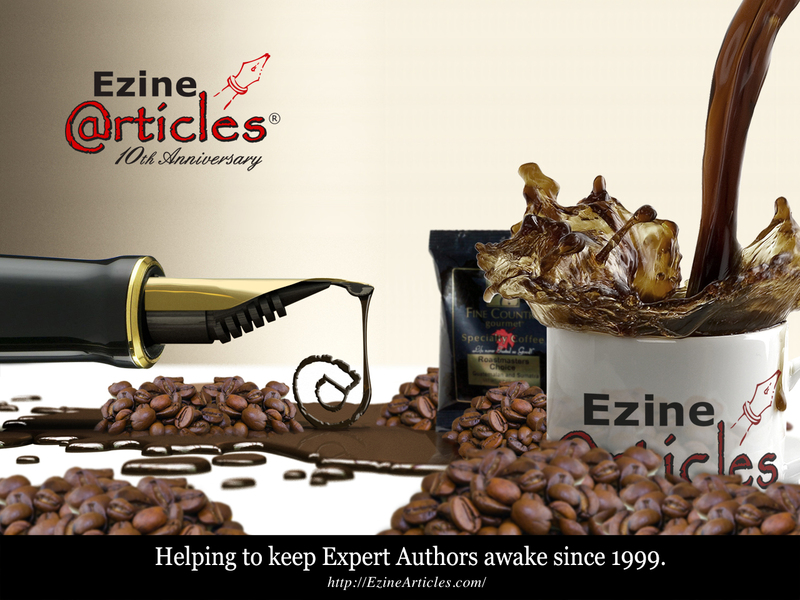 Today marks the 10th Anniversary of EzineArticles.com – but we’re giving YOU the present! On this day in 1999, EzineArticles.com was launched as an online Expert Author community where authors from around the world could share fresh, high-quality articles and make them readily available for limited niche syndication by ezine publishers. The site was envisioned to be a matching service for ezine publishers seeking supplemental content for their next email newsletter and expert authors who wanted to share their expertise in exchange for exposure, credibility and qualified traffic referrals back to their website. Today, the site’s incredible success is obvious. 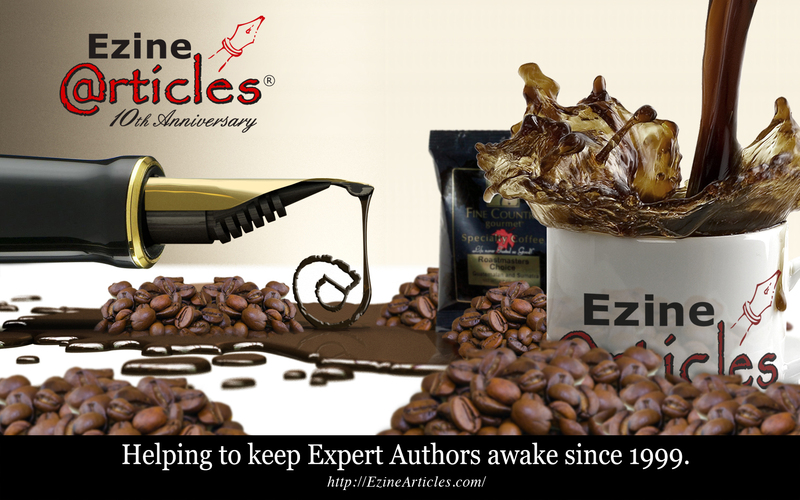 Now the #1 article marketing website in the world, EzineArticles caters to almost a quarter million Expert Authors from across the globe. The site enjoys over a million unique visitors every day and delivers an average of 225,000 clicks per day back to our members’ websites. Website Magazine recently ranked EzineArticles.com #18 on their list of the “Top 50 Websites for Professionals” in their November, 2009 issue. While it’s true that EzineArticles has a lot to celebrate, we felt that the people who are ultimately responsible for our success, our members and visitors, are the ones who deserve an anniversary present. So we’ve designed this custom EzineArticles wallpaper, complete with our popular mug and coffee, just for you. 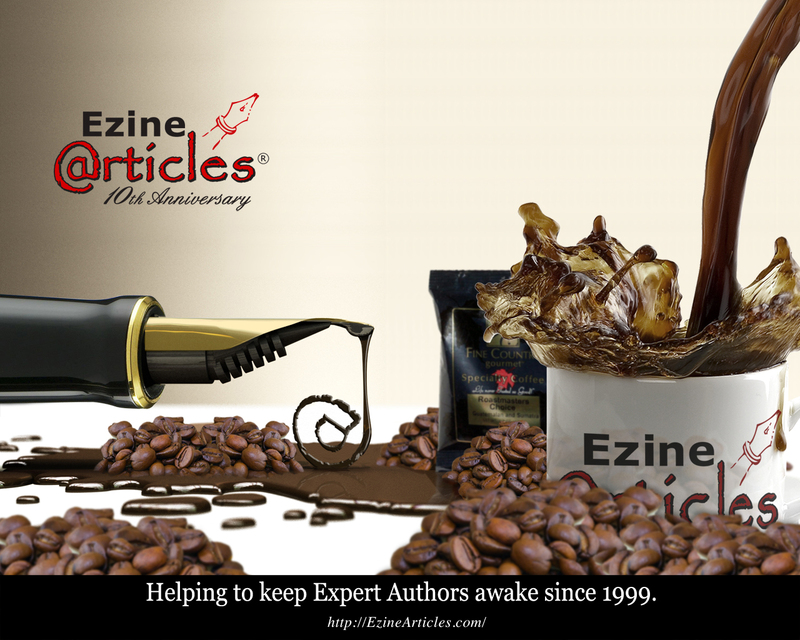 Thanks for the hard work you and your team do to make EzineArticles a success for us, the writers and content providers. I count on you for the consistent traffic you send my way each day…I am thankful to be a part of the 225,000 clicks you deliver each day! By the way – that is an awesome number of daily clicks! And I continue to see growth here! Sean, you are the future of EzineArticles. 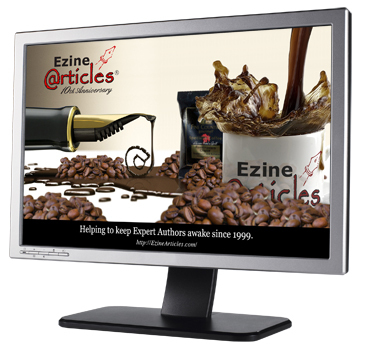 It’s people like you who will define the future at EzineArticles. You have been a great inspiration to me over the last 3 years. Thanks! What a fun celebration! Could you have even imagined ten years ago how much you would impact the world? I appreciate you carrying my message of kindness, understanding and respect for all to the many people who find my articles on your site and then connect with me. We will be growing with you for the next ten years. I’m sure you are here for 10 more great years. Thank you for providing such a quality service, both for website publishers and writers. There is a wealth of information on your site. I’m always browsing it to find good new articles for my blogs. Thank you for letting me be part of it, and for sharing my articles. Keep going, and more power! I have been with EzineArticles for less than a year, and my journey with you, great people, has been fun and meaningful. Congratulations! May this great endeavor creates more waves in the many years to come. Congratulations to 10 years of success! More and more people are enjoying EzineArticles. Thanks to the authors and publishers. Cheers – for more clicks everyday, more quality articles, more participating authors! I can’t let this opportunity pass by without saying Happy Anniversary! EzineArticles has been very good to me and I wish you all the very best of years to come. I enjoy all the comments and your great service is much appreciated. I know you took this site over from the original owner several years ago. You have changed the world of publishing with what you have created here since that time. I have no doubt that your site has turned me into an author, something I had dreamed of for the previous 20 years. It’s true and the site was nearly dormant from 2002-2004 following the dot com bust that we all experienced… and then EzineArticles.com was completely scrapped in July 2004 and relaunched on August 4th 2004… something I expect will never happen again in its lifetime. For those who remember our original model… you used to have to cough up your email address in order to read the full article. That’s crazy in today’s standards, but it wasn’t crazy in 1999. I forgot to add: I have now shown hundreds of students how to utilize this site to build their businesses and to change their lives as well. Thanks for the information EzineArticles 10th Anniversary Wallpapers. I would like to take this chance to thank your team for putting in the hard work so that writers from around the world will be able to published their article in a established platform. Hope you had great time! EzineArticles.com has been one of the finest forum which is building bridges between writers and the readers regardless of any cultural borders. For past 10 years EzineArticles.com has served the humanity and has promoted the slogan that diversity is strength and not a harm to the contemporary world. Happy 10th EzineArticles! Hopefully there will be 10 more and 10 more after that. I thank you for the growth that your traffic has provided my business and I intend to keep pounding out quality content until my fingers can’t do it anymore. Keep up the HAHD contests too. They are real motivators. So, congrats to the best article site on the web. The other guys don’t hold a candle to you. Congratulations on your amazing success!! The resource you provide in connecting readers writers and publishers is truly appreciated. Looking forward to the next 10 years. Thanks for the wallpaper and congratulaitons! I’ve only just begun learning this business and was introduced to EzineArticles only a few weeks ago. But it was quickly apparent what a magnificent ‘tool’ this is. Thank you for making it easy to learn as you go. I thought of a potential suggestion. Why not make Widgets by category here, regardless of author. This way ANYONE with a website that wishes to have information for their visitors can be constantly updated with new articles. Perhaps, 10 articles per widget. That would be cool. For instance, if someone had a website on Health Care focusing on skin, they could get the widget for that category and put it on their website. It would drive more traffic hear and help the authors too. Everyone would win. Just thinking out loud, just an idea. Continued success, EzineArticles Rocks! Just select a category from the drop down without entering in an author name, click “Get the code for your website” and it’ll work. I see the widget code updates instantly, but the widget visual example doesn’t update instantly, but it’ll update within 15-20 seconds. Sorry about this weirdness… We’ll look into that. Hi Chris and EzineArticles.com Team! Happy Anniversary and a great big Thank You! It’s been a bit over two years now since you published my first article, and I look forward to many more.. Thanks for providing us all with such a great platform — and all the info through your many authors, directly through the articles, and indirectly through the links in their resource boxes! Talk about win-win! Congrats on the anniversary! What a milestone. I bow to the directory king…I’m not worthy! Thank you for the wallpaper, it will remind me to submit more articles daily. Happy 10th anniversary and a big thank you to the EzineArticles Team for all their hard work in providing us with so much information to become successful in article writing and marketing our websites this way. Congrats to EzineArticles on a splendid 10 years. It has been great achievement. The kind of efforts that you and your team have put in is just remarkable. My best wishes to you and your team for further success. Thanks for what you folks do. Since I’ve discovered that I like to comment and blog I’ve found your site to be one of the best sites that gives great value with what you teach. Congrats and I will be using you folks much more than ever. Somehow, I missed this milestone event. It’s exciting to get to be a part of this festivity and celebrate in such good company. I know for certain that you are the reason why I’m a success today. Thanks for giving me the opportunity to celebrate this anniversary with other members of the communty. Congratulations!!! and thank you for your service. Here is to the next 10 Years!! !